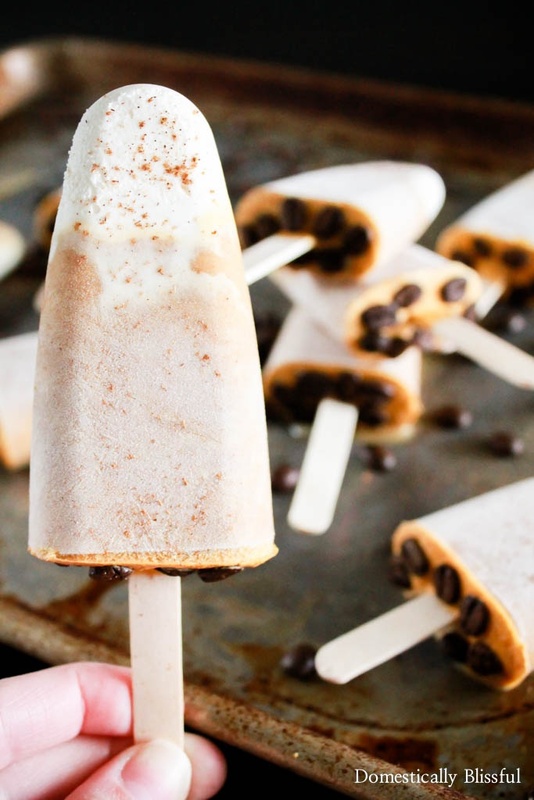 These Pumpkin Spice Latte Popsicles are the perfect sweet treat to transition you from the heat of summer to the festive flavors of fall! 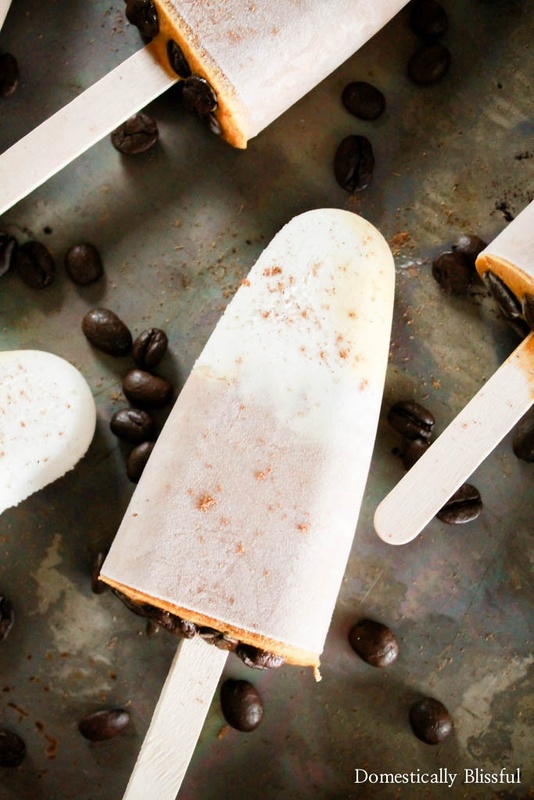 Yes, you read that right, I’m sharing a Pumpkin Spice Latte Popsicles recipe & it’s still summer. I know it’s only the second day of August, but what can I say, I’m basic. 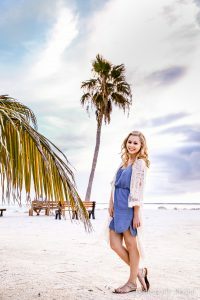 And before the weather changes for the cold I want to enjoy one of my favorite fall flavors in one of my favorite summer food fashions, popsicles! I have been planning on creating this recipe for months!! It took all of my willpower not to share this recipe with you the first week of July, but I did, I waited, & I am very proud of myself! When I first started brainstorming pumpkin popsicle ideas this recipe was pretty basic. But then I decided that I wanted to make it extra basic & I added it became pumpkin spice latte. 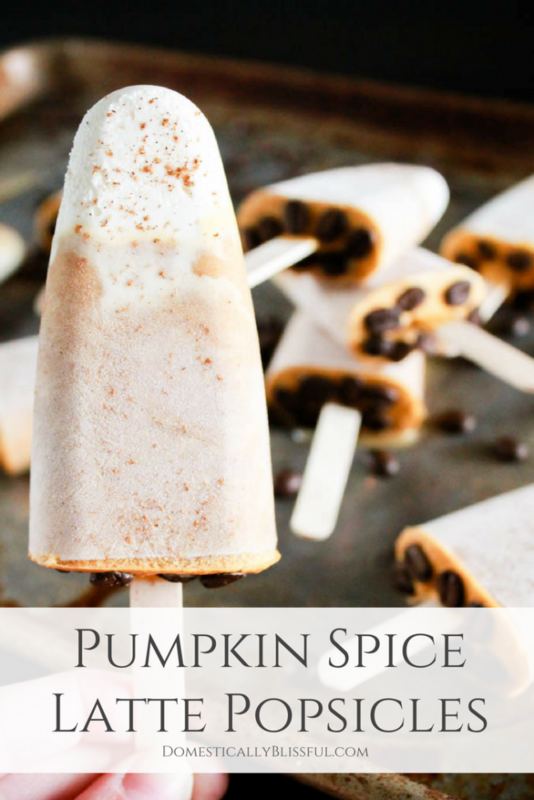 However, then I wanted to also make it look like a pumpkin spice latte, so instead of just mixing all of the ingredients together, I wanted the top of the popsicle to resemble, in both appearance & taste, the top of a pumpkin spice latte! 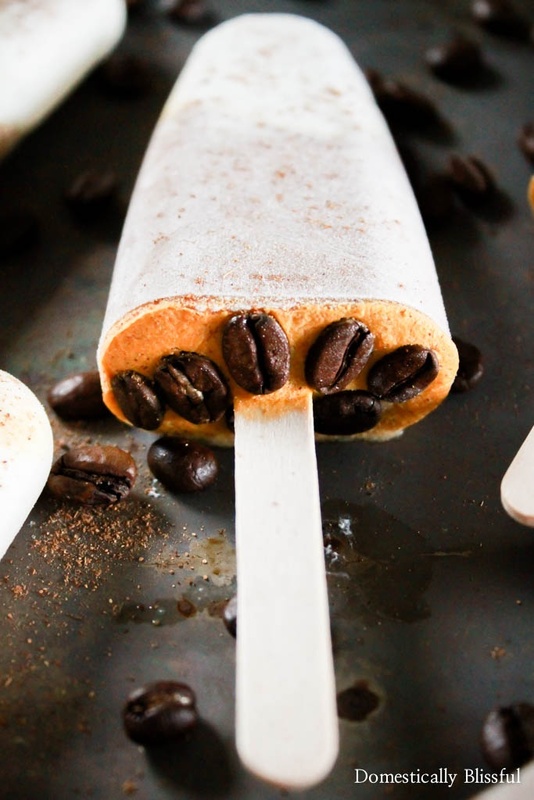 I also wanted to also make it look like a pumpkin spice latte, so instead of just mixing all of the ingredients together, I wanted the top of the popsicle to resemble, in both appearance & taste, the top of a pumpkin spice latte! Because whipped cream is essential to every pumpkin spice latte! 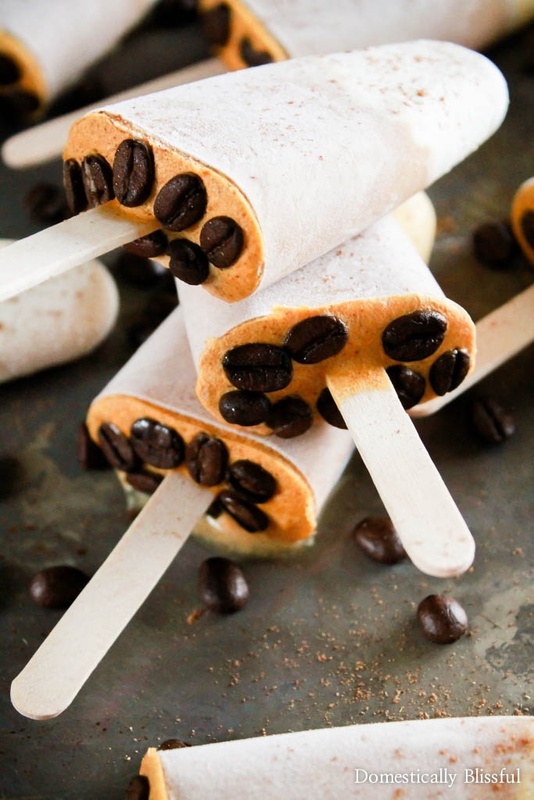 So then I worried that you wouldn’t be able to tell anything about the popsicle simply by looking at the picture, so I added the coffee beans. That way you know from the first look this is going to be a dream come true dessert for coffee lovers. 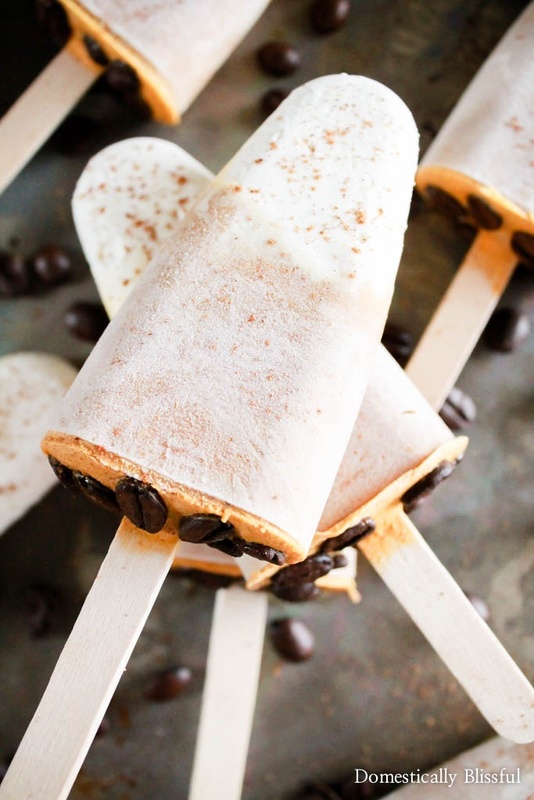 And then to top it off, I sprinkled a little pumpkin spice on top of the Pumpkin Spice Latte Popsicles! 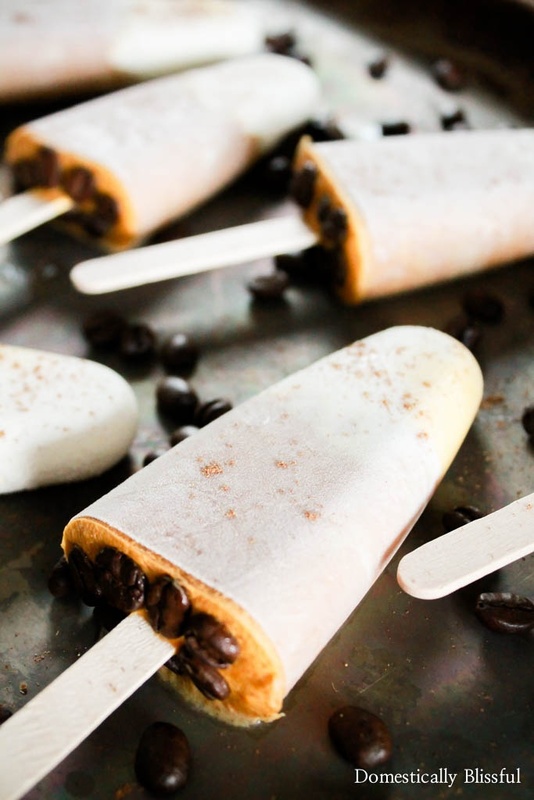 Although to be honest, the pumpkin spice on top was a little strong, so I topped my remaining Pumpkin Spice Latte Popsicles with cinnamon, which was much better! It might seem a little over the top, but I wanted my first fall recipe to be completely awesome! 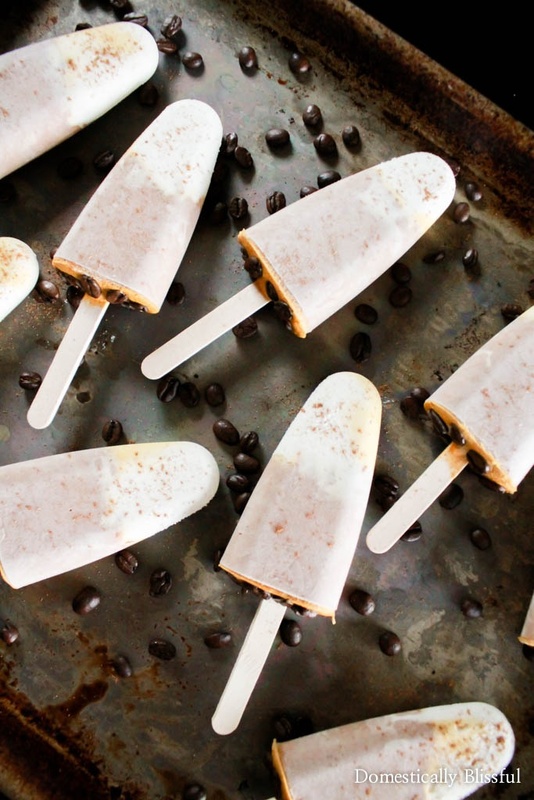 And hopefully, these Pumpkin Spice Latte Popsicles exceed your taste buds dreams, because they are super delicious! 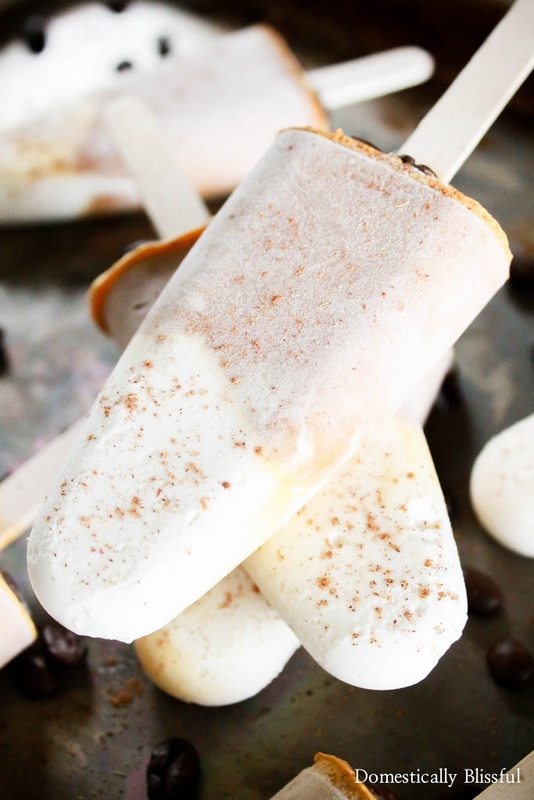 So whether you want a jumpstart on fall flavors, or you are living in Florida in the midst of fall, I hope these Pumpkin Spice Latte Popsicles cool you down while filling you with the flavor & memories of fall! In a large bowl mix 2 cups heavy cream, 1/2 cup sugar, & 1 teaspoon vanilla extract. In the large bowl with the remaining cream mixture, add 1 cup brewed coffee, 1 can pumpkin puree, & 1 tablespoon pumpkin pie spice. Mix until combined. 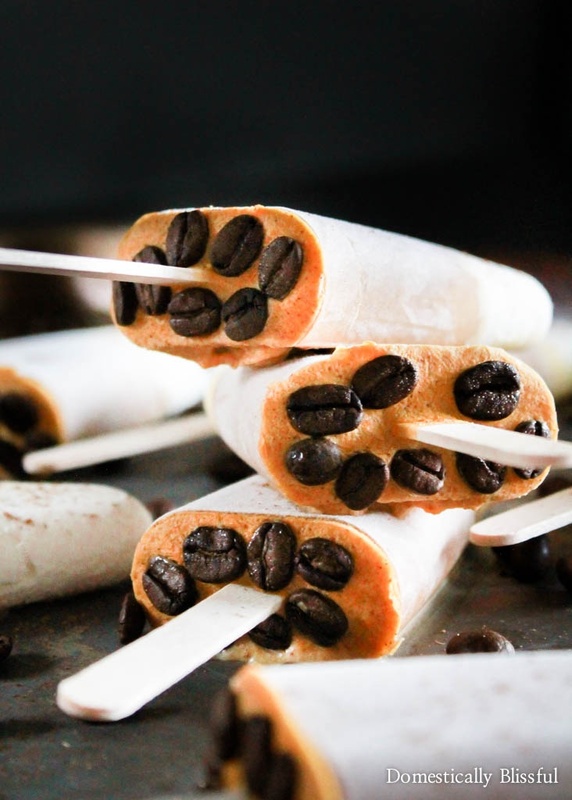 Pour half of your thickened cream mixture into the bottom of all of the popsicle molds, then add the pumpkin spice mixture, & sprinkle on top a few coffee beans. Freeze for 3-4 hours & enjoy! 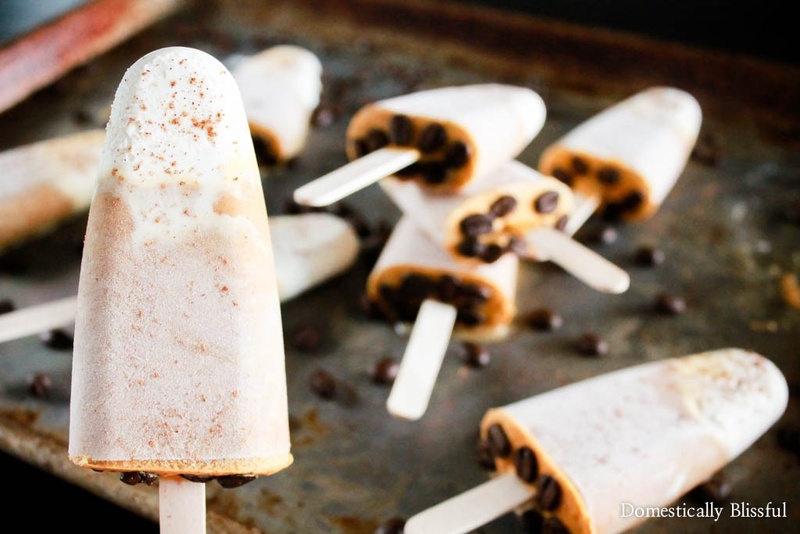 Sprinkle the popsicles with pumpkin pie spice for a pretty look & extra pumpkin spice taste. What is your favorite way to enjoy the flavor of pumpkin spice?